ICAI will start accepting the Application form for CA Foundation May 2019 from 20th February 2019 and will last on 12th March 2019. CA Foundation 2019 is conducted twice a year first in the month of May and then in November. You must ensure that you are filling the genuine application form available online at CA Foundation official website. 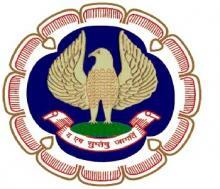 Step1: Go to the official website of ICAI to fill the application form of CA Foundation 2019. Step 3: Select 'New User Register Here!' from the dropbox. Step 4: Fill the required details for registration and click on 'Register' button given at the bottom of the page. Step 5: Note down the Login ID and Password. Step 6: Fill the Personal details and address details for registration and click on 'Save Details'. Step 7: After the completion of registration, click on 'Apply Now' button to apply for CA Foundation 2019. Step 8: Fill the academic details, exam centres option etc in the application form. Step 9: Make the payment for the application form. Step 10: Upload the scanned copy of Photograph and Signature and click on Submit button. Step 11: Take the printout of the application form. If you are not a registered user then you need to register first and if you are a registered user then you can proceed to log in. In order to register yourself, you need to enter your registration details, contact number, and email id and click on the register button to complete your registration procedure. Where due to any unavoidable circumstances if the registration details entered by the candidate does not match with records maintained by the ICAI, for example, your registration number and date of birth showing some error then you can be offered to register provisionally. Once your basic registration is completed an Email and SMS will be sent to the student with the verification code. Thereafter click on the “complete your profile” to proceed. After creating your profile a page will be displayed, wherein you need to complete your pending details. After filing the above details, click on the save button to save the form. Once step 2 is completed, the Registration procedure is completed. Now you can apply for the exams. You can log in to your account and there you can fill your application form. You are expected to check your profile before filing the CA Foundation application form online. In case your photograph and signature are not attached then you are required to attach your photograph and signature. Candidates who wish to change their photograph or signature can do so, in such a case you are required to print the PDF of the form. Affix his/her photograph, duly sign the form and get them attested (Attestation can be done only by a Practicing Chartered Accountant or Head of an Educational Institution or a Gazetted Officer) and submit it to the CA Foundation Exam Department. While filing the application form candidates are also required to upload the attested and scanned declaration. The size of the scanned file should be within 100-300KB and the file should be in the JPG format. The candidates are also required to make the payment online through the online payment gateway either by Credit Card, Debit Card, Visa/Master/Maestro. In case the photograph is not appearing on the application form: You need to affix two latest photographs ( passport size- 3.5cm-4.5cm) – One is required to be attested by any practising chartered accountant, gazetted officer or head of educational institution). In case of the signature are not appearing on the application form: You are required to duly sign the form and also countersigned by your parent or guardian, and also require to get it attested by the persons mentioned in above para. After completion of the above formalities, you are required to send the printout of such form in an envelope (without folding) by speed post to the Joint Secretary Exam (Examination Department), the Institute of Chartered Accountants of India, ICAI Bhawan, Indraprastha Marg, New Delhi – 110002. In case you delayed in dispatching the printout of online application form to the examination department and resultant it does not reach the Institute Office at New Delhi up to the last date, you will not be allowed to sit in the examination hall. In the given case you will be allowed only if you show the printout showing the Barcode number and Payment Transaction Details. Only one application should be submitted for the CA Foundation Examination. In case you fil more than one CA foundation exam form, all of them will be rejected. You will also not eligible for any refund.